Display extension cables | View our catalogue products | SiliconBlue Corporation Ltd. Provides high-quality protection against external interference and prevents ghost images and other image distortions. 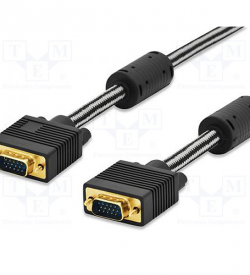 For extension of Monitor cables or devices (with HD15 plug), for example, PC, Monitor or Beamer / Projector.